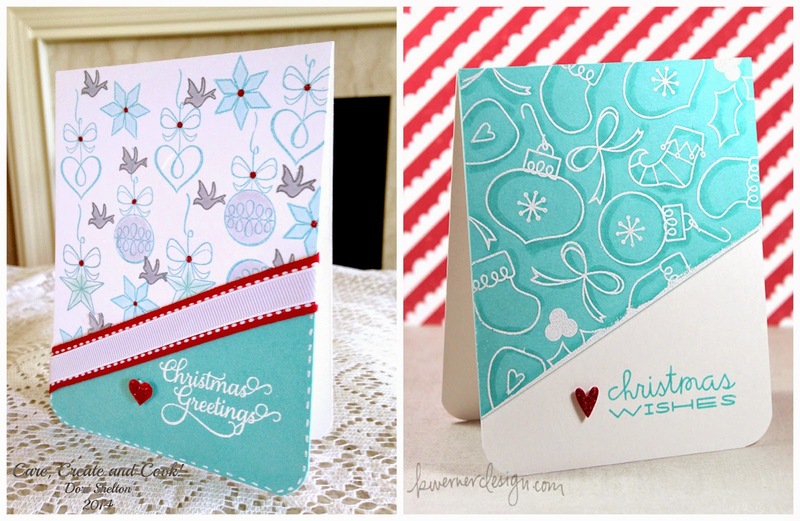 The card for Day 4 presented the first challenge I really had with recreating one of Kristina's card. I didn't have the type of images she used and so I had to make some adjustments with images that I had. First, I decided to change the background and do a white base with stamped images from Verve's "Merry and Bright" in Cool Caribbean ink and Hero Arts Wet Cement. I colored the images in with Copic markers. I added the Cool Caribbean card stock to the bottom of the card with the sentiment embossed in white. I rounded the corners, and added the two ribbons. I punched a small heart and colored it with a copic marker and then covered it with red stickles and adhered it with foam adhesive. Here are the two cards side by side. The final card was the result of 2 attempts that ended disastrously! But, I kept trying and ended up with something I really ended up liking. Great job, casing her card! I think you did wonderfully! Fabulous job with both cards. I really love the color scheme. 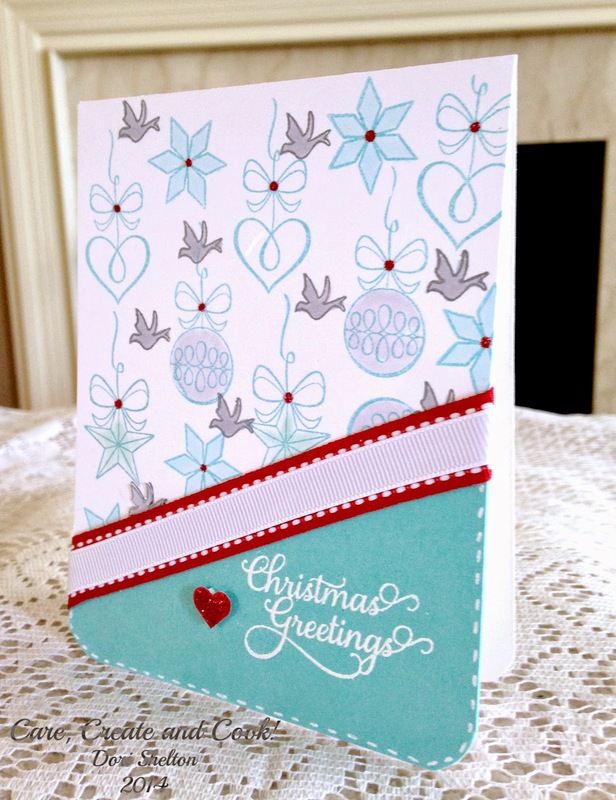 Thank you for sharing your wonderful cards with us at Stamping Sensation. I hope you join with us again in our new challenge.